The most important fair of products for pets begins and Mediterranean Natural already has everything ready for the official presentation to professionals of the new range of products industry gluten free and improved and certified formula by the Food Research Team of the Department of Physiology at the University of Murcia. 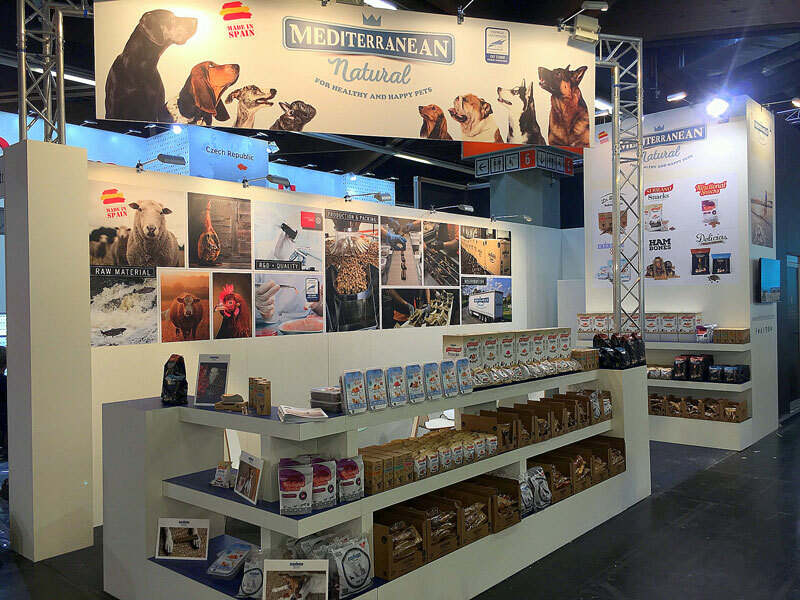 As in previous editions, Mediterranean Natural will exhibite in Nuremberg top quality products made with raw material of Spanish origin by non-invasive techniques (in order to preserve all its properties and nutrients). In addition, all Mediterranean Natural products are made gluten-free, no artificial colors and fresh meat and fish (up to 70% of meat). Serrano Snacks: the perfect treat for rewarding your dog’s behavior. Ibericas Sticks: premium sticks high quality and varied flavors. Ham Bones: serrano ham bones for dogs. Different sizes to attend the dog breed demand. Pig Ears: natural, ideal to remove tartar and strengthen your dog’s gums. La Barrita: individually packaged treat that always stays fresh. Functional Snacks: with glucosamine, protects joints. Delicias semi-moist dog food: for dogs of small and medium breeds and those with difficulty eating dry feed. You can see the videos of all Mediterranean Natural products in our Youtube channel. 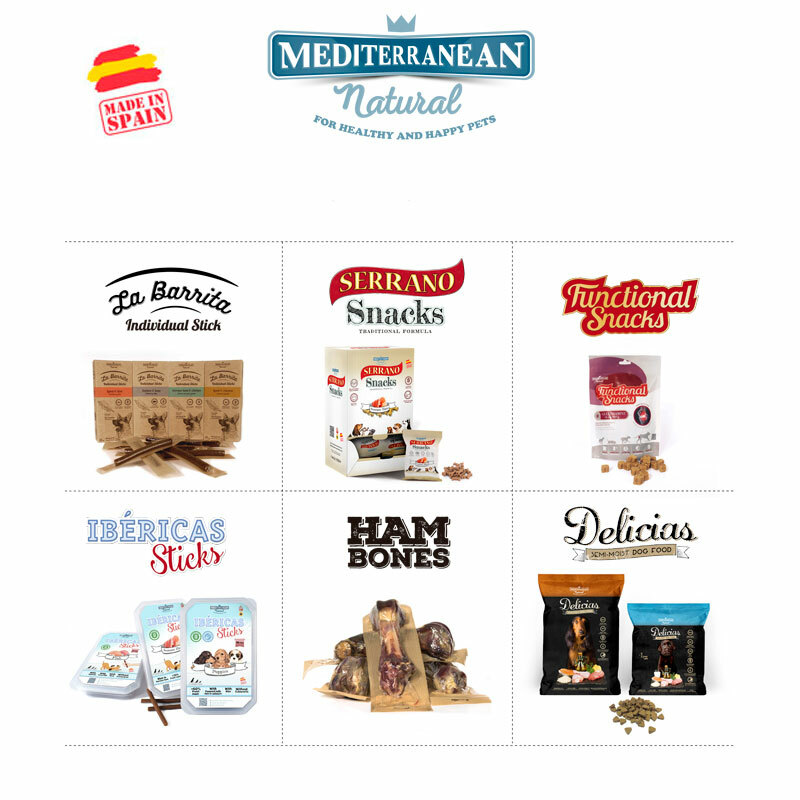 Mediterranean Natural is constantly evolving and works every day with the objective of providing a quality product and at the forefront of market food and snacks for dogs, but keeping in formulating a natural and nutritious recipe. Interzoo 2016 is here! 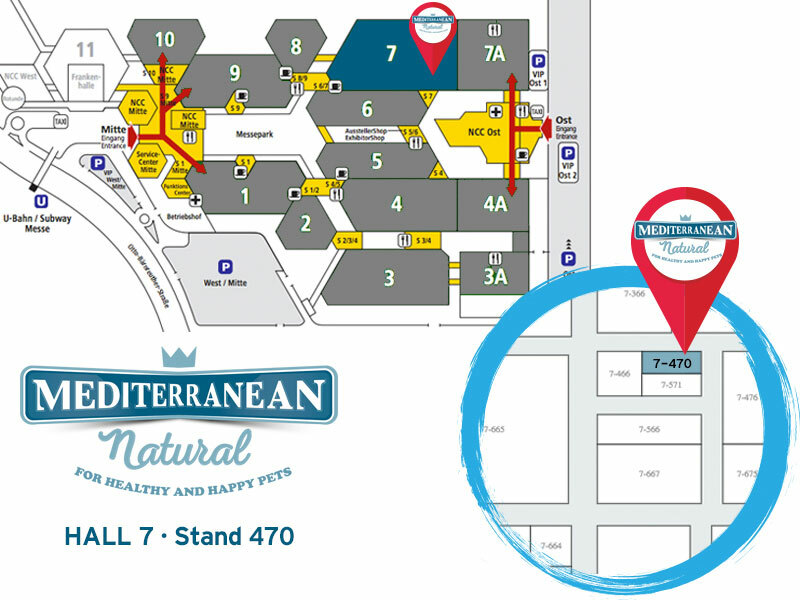 See you at hall 7 stand 470!